Big Den Escape Episode 2 info about the game-Games2Rule. 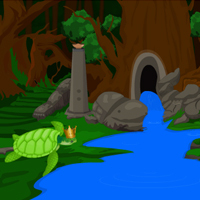 Big Den Escape-Episode 2 is a new point and click escape game developed by games2rule.com. This is the continued part from episode 1. At the time of dusk your ship is in a big den. There is no one in the ship and also around that place. You came to know that you are trapped there. And don�t know how to escape from the den. Survive in this new place by collecting some drinks and fruits. Also collect some coins; it will be useful in the future episodes. Find way of escaping and surviving. Good Luck and Have Fun!